The Canadian Ki Federation is affiliated to the Ki Federation of Great Britain. The current representative to the KFGB is Sensei Wayne Nagata. Our eleven teachers run clubs throughout BC and Ontario for all levels, beginner to advanced. Gradings can be completed in Canada up to 1st Dan (black belt); higher Dan gradings must be completed at Ki Federation Headquarters in Mark, Somerset, England. Additional classes, seminars, and summer school may also be attended at Headquarters, and members of the CKF visit Headquarters and other clubs in England usually once a year. Internationally, our members may also practice with affiliated federations in France, Russia, the Netherlands, and Australia. While we follow basic traditional etiquette and require respect and awareness from our members, we are also a very inclusive group of friendly people from a very wide range of backgrounds. 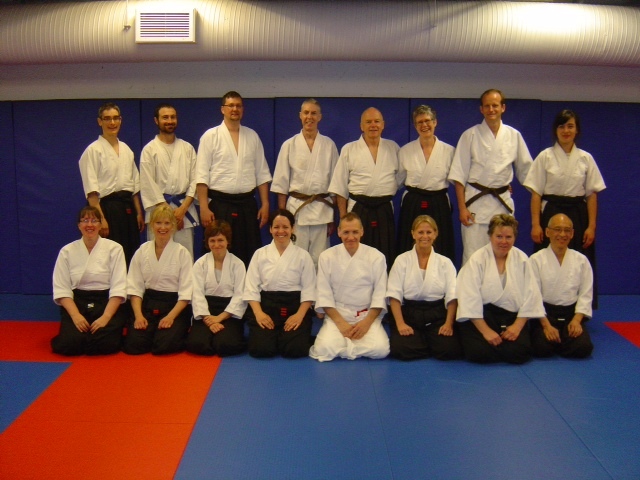 Our shared practice of Ki Aikido harbours a local and international community of like-minded individuals, who enjoy the efficacy of the Art of Peace in daily life, in relationships, and in our inner selves.